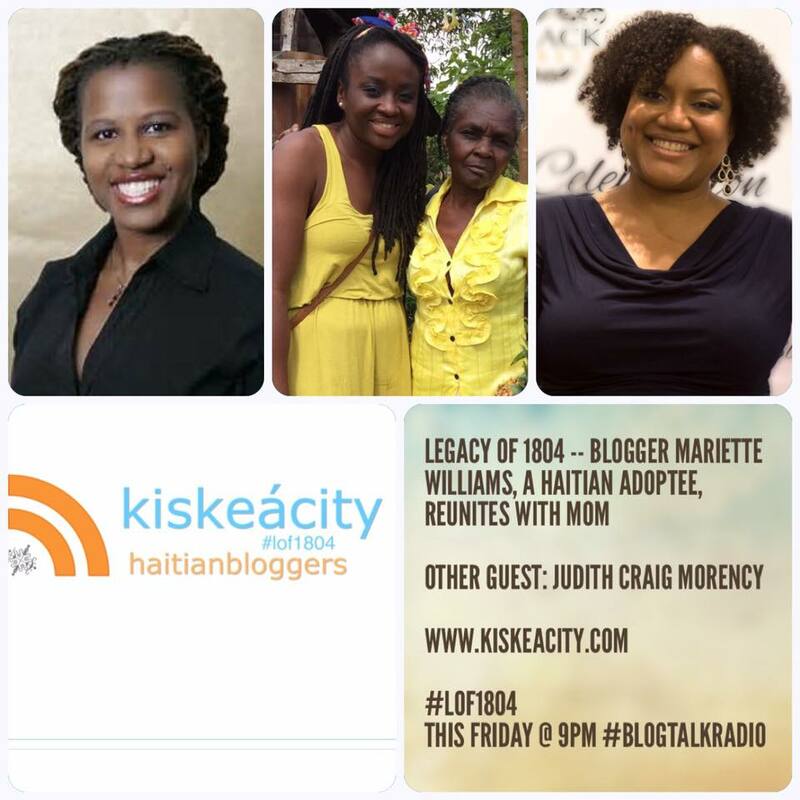 Join host Alice Backer of www.kiskeacity.com as she welcomes Mariette Williams and Judith Craig Morency, two Haitian Transracial adoptees who want to share their stories. Blogger Mariette Williams was a guest on LOF1804 a while back and returns to discuss meeting and reuniting with her biological birth mother, as reported in various news outlets. Listern live or later at http://www.blogtalkradio.com/pancaribbean/2016/01/16/legacy-of-1804--haitian-adoptee-discusses-finding-her-birth-mother-lof1804. Listen live on the phone at (714) 242-6119.